I am over at Winnie & Walter Blog today with my In Focus feature. Here is sneak peek of the card. Gold foiling is super hot at the moment. I have gold foiled Winnie & Walter’s stamped images in the tutorial. 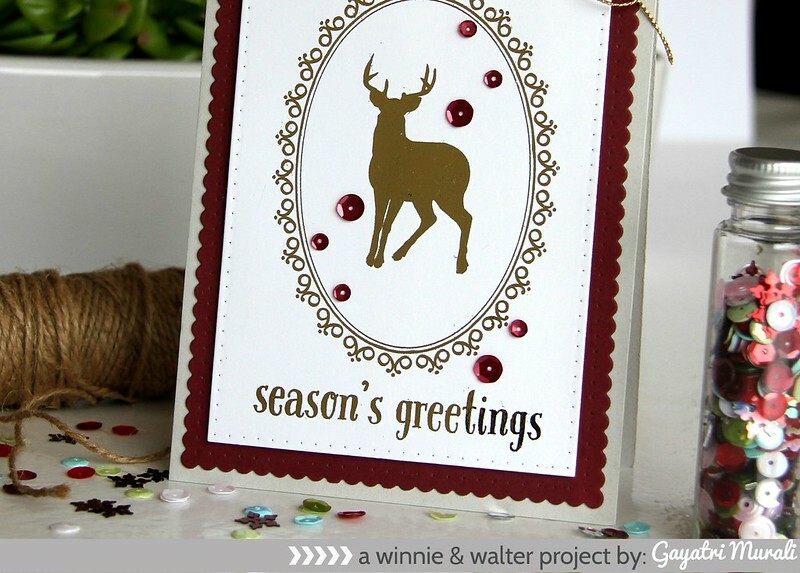 Head over to Winnie & Walter Blog to learn more about how I made this card. I also have one more card there.